Exciting News! 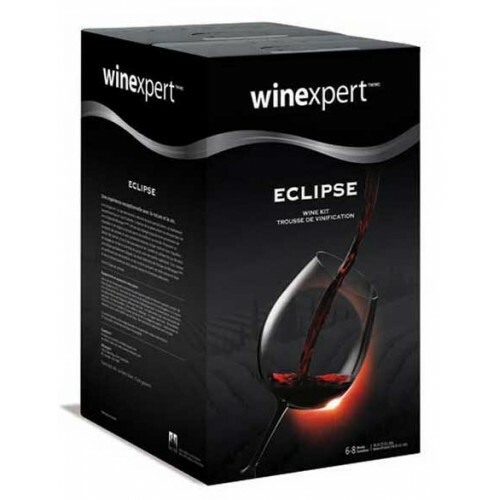 In July of 2015, Winexpert brought us Eclipse Forza, the first in a series of annual limited release wine kits under the Eclipse brand. Hailing from Veneto Italy, Forza was a hit and became one of our best selling limited release wines ever. 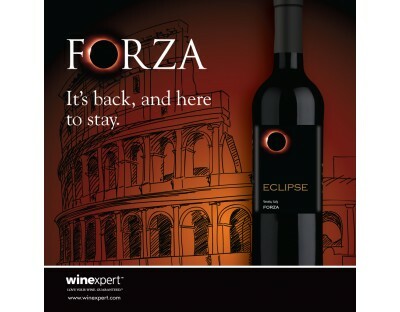 We are happy to announce that Forza is returning to the Eclipse brand as a permanent addition! 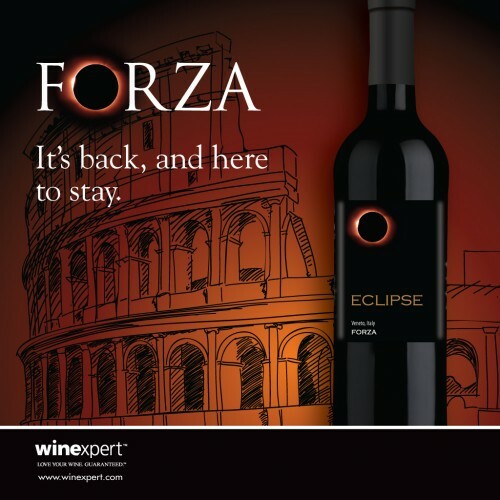 Forza, which means 'strength' in Italian, is a bold red blend from Veneto, Italy. It's a blend of Corvina, Sangiovese and Barbera and includes grape skins for added depth.